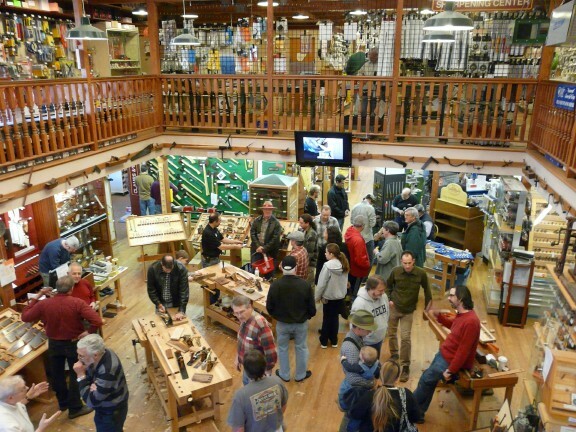 What do you call a bunch of woodworkers? I have always liked the names assigned to collections of creatures. It is interesting to me how the names have some social intent or nefarious motive. When I found this list over on the blog at grammarly.com. I was tickled to see how it works. Do you see what is missing — Woodworkers!! What do you call a bunch of woodworkers? A dustup of woodworkers? A cutoff? Loners? Shoppers? A beard of woodworkers? A dust cloud of woodworkers? Read through the list above and get the sense of where this is going and then let’s have your suggestions in the comments. If I see one I really like, then I will use it here from now on out with proper credit given. Pallet of woodworkers? Toolbox of woodworkers? Note that all of the ones on the list have a large amount of connotation associated with them. A one car garage of woodworkers? A dank basement of woodworkers? Seems to me the best term for a group of woodworkers would be a “Plaid” of woodworkers. You can see how this ties into the favorite shirt style worn by woodworkers. Definitely, a Knot of Woodworkers! What do you call a bunch of woodworkers…… A Working Forest. I would go with an overspend of woodworkers. How about “A dust-up of woodworkers”?